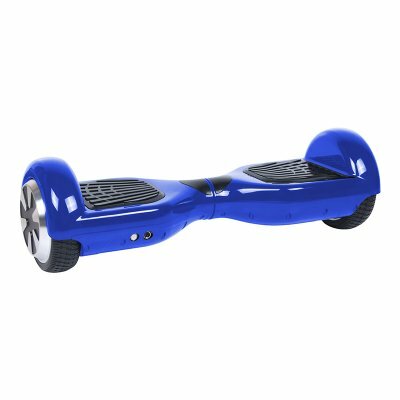 Successfully Added Self Balancing Electric Scooter MegaWheels - US + EU Only, Free Shipping, UL2272 Cert, 2x 350W Motor, 12KM/h, 20KM Range (Blue) to your Shopping Cart. For anybody that has ever dreamt of owning their own self balancing electric scooter at an affordable price, the MegaWheels TW01S is the perfect electronic gadget. This electric skateboard has been put together by using only high-end components, giving it a premium look and finish. Thanks to the fact it has been crafted out of the best materials, this dual-wheel electric scooter has been given the UL2272 electrical safety certificate – meaning it’s completely safe to use and there are no potential fire or safety hazards while cruising the streets. No matter your age, this cool electronic gadget will bring hours’ worth of fun and joy into your daily life. Featuring two 350 Watt motors, this self balancing electric scooter packs quite the power. It is capable of carrying up to 120KGs and can handle steep inclines reaching up to 25%. Whether you live in a flat or hilly environment, this electronic scooter will take you to your next destination in no time. By allowing you to cruise through the streets at speeds reaching 12KM/h, you’ll be able to effortlessly move around while spending a minimum amount of physical energy. Within its compact body, this self balancing electronic scooter packs a powerful 4400mAh battery that allows you to drive up to 20KM without needing to worry about running out of juice. Allowing you to cover large distances, this electric skateboard is a great electronic gadget that brings high efficiency into your daily life. Whether you have to stop by at the shop, post office, or simply like to visit a neighbor – this electric vehicle will take you anywhere. It furthermore features a daily waterproof design thanks to which you’ll be capable of using it on wet roads without needing to worry about damaging this amazing gizmo. Under each foot, you’ll be able to find a sensitive pressure sensor thanks to which this electronic scooter can be easily controlled. Thanks to its build-in gyroscopic motors, it is extremely easy to keep your balance while driving around. No matter if you’re an advanced driver or just a beginner, this electric skateboard will be easy to handle.